Journals / NC Counties / Cabarrus "The Golden nugget" Continues: Cabarrus Genealogy Society journal and continued by: The Cabarrus golden nugget. Cabarrus Genealogical Society. Family Books / Ross / I Am “I am an American”: a biography of Egbert A. Ross Royce, E. Allen, III, Comp. Family Books / McGinnis / 1700 1700 - 2003, My McGinnis history begins to fit: an old Irish family from Ulster comes to North Carolina and then to Georgia. McGinnis, Richard W.
States / South Carolina / 1850 1850 U.S. Census, Lexington County, South Carolina Schunk, John F., Dr.
NC Counties / Mecklenburg / 90 Ye 90 Years on Hawthorne: A History of Hawthorne Lane United Methodist Church Dodd, Robert V. and Russell W. Ford and T. R. Lawing, Sr.
Family Books / Herron / Gene A genealogical study of Richard Herron (c1810 - c1890) and family of Mecklenburg County, North Carolina (a genealogical study in enslavement) Herron, Vernon M.
Family Books / Dover / Son A Son named Charles, a biography of Charles I. Dover Camp, Sue C., and Hendricks, Garland A. 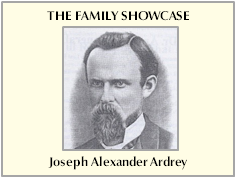 Family Books / Pryor / Stud A study in lineage of the Wiley Pryor family of the Carolinas Johnson, Melvin B.
German / General / ABCs ABCs of German-American Migration, Annotated Guide to German-American Migration Records Haller, Charles R.
Ancestor Charts / Chart W173 Abee, Blackburn, Carpenter, Frye, Huffman, Leonard, Sherrill, Sides, Sigmore, Whitener, Young Whitener, Bryte B.
Ancestor Charts / Chart R118 Abernethy, Alexander, Black, Davidson, Emmerson, Farrar, Harris, Henderson, Hunter, Jones, McCombs, Miller, Pender, Ranson, Rice, Robinson, Rutledge, Sample, Sutton, Taylor, Turner, Wilson Ranson, William E., Jr.
Ancestor Charts / Chart J138 Abernethy, Cathey, Clary, Fisher, Hipp, Hoover, Johnson, Joy, Lazenby, Love, Orr, Patterson, Poteat, Poteet, Rankin, Roseman Johnson, Donna J. United States / General / Abri Abridged Compendium of American Genealogy: First Families of America, Vol III Virkus, Frederick A. North Carolina / General / Abst Abstract of North Carolina Wills from About 1760 to About 1800, Supplementing Grimes' Abstract of North Carolina Wills 1663 -1760 Olds, Fred A.
NC Counties / Chatham / Abst Abstracts of Court Minutes of Court of Pleas and Quarter Session of Chatham County, NC - 1774-1778 Cooper, J. M.
NC Counties / Anson / Abst Abstracts of Deeds: Anson Co, NC Books 4, 7, and B2 Pruitt, Dr. A. B.
NC Counties / Anson / Abst Abstracts of Deeds: Anson Co, NC Books D, C2, and E Pruitt, Dr. A. B.
NC Counties / Anson / Abst Abstracts of Deeds: Anson Co, NC Books H1, K, and H Pruitt, Dr. A. B.
NC Counties / Edgecombe / Abst Abstracts of Early Deeds of Edgecombe County, North Carolina, 1759-1772 Watson, Joseph W.
NC Counties / Cabarrus / Abst Abstracts of Land Surveys and Warrants: Cabarrus County, NC 1792-1916 Pruitt, Dr. A. B.
NC Counties / Cumberland / Abst Abstracts of Minutes of the Court of Pleas and Quarter Sessions of Cumberland County, NC - Vol. 1 - 1779-1791 Fields, William C.
NC Counties / Cumberland / Abst Abstracts of Minutes Of the Court of Pleas And Quarter Sessions of Cumberland County, NC, Vol. 2 - 1779-1791 Fields, William C.
NC Counties / Cumberland / Abst Abstracts of Minutes of the Court of Pleas and Quarter Sessions, Cumberland County - October 1755 - January 1779 Vol. I Fields, William C.
NC Counties / Franklin / Abst Abstracts of the Early Deeds of Franklin County, North Carolina 1779-1797 Watson, Joseph W.
NC Counties / Iredell / Abst Abstracts of Will Books I, IA and II of Iredell County, NC 1788 -1845 Schneider, Lois M. P.
NC Counties / Currituck / Abst Abstracts of Wills and Other Records: Currituck and Dare Counties, North Carolina (1663-1850) Jones, Gordon C.
NC Counties / Granville / Abst Abstracts: Granville Grantees, Halifax County, NC Public Registry 1749-1763 Hofmann, Margaret M.
Ancestor Charts / Chart C109 Adams, Alexander, Allen, Allison, Anderson, Bails, Baird, Barwise, Brace, Cady, Cauble, Correll, Cowguill, Curtis, Davidson, Dennison, Elliott, Elsworth, Farnsworth, Gentri, Gentry, Green, Gulliver, Hammers, Josselyn, Joyner, Knapp, Koon, Lewis, Mitchell, Mumah, Pearce, Puffer, Skinner, Sumner, Tucker, Waer, Wallace, Wein, Weldon, West, Wiens, Winter Cauble, Rebecca C.
Ancestor Charts / Chart G112 Adams, Boaz, Brown, Buzzard, Gilbert, Ingram, Kasey, Newman, Newton, Rogers, Rorrer, Russell, Sandifer, Saunders, Sharp, Shelton, Smith, Turner Gilbert, John C.